Uhuru Kenyatta, whose re-election as president on Aug. 8 was nullified. KIGALI, Rwanda — Kenya’s Supreme Court on Wednesday said it had nullified last month’s presidential election because the voting may have been hacked, and accused the electoral commission of failing to verify results before announcing them. The court’s rationale was narrowly tailored: It said the Independent Electoral and Boundaries Commission had announced the results prematurely, even before it had received all the required forms tallying the results from polling stations. Representatives from rival parties were required to approve the forms before they were scanned and electronically transmitted to a national tallying center in Nairobi, where they were to be put online immediately so they could be crosschecked. But the electronic system, which had been overseen by an election official, who was killed on the eve of the vote, broke down. Therefore, only the results, and not the forms, were sent to the tallying center, often by text message. In its findings earlier this month, the court also ruled that hundreds of polling stations failed to send any presidential results; that some forms lacked security features like water marks, signatures or serial numbers; and that some unauthorized users had tried to access the voting system. International election observers — including John Kerry, the former United States secretary of state — were quick to praise the electoral body immediately after the vote, saying there was no evidence of vote tampering at polling stations and that the paper forms would show clearly who had won. The observers had assumed that the forms would be easily verifiable and would be matched with figures texted to the tallying center by party officials. 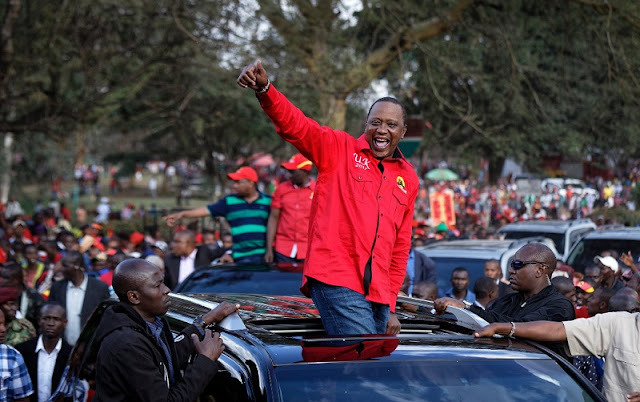 Earlier this week, American and European observers cautioned political leaders and Kenyans against inciting violence as the country heads for a new election. Kenya’s Supreme Court on Wednesday said it had nullified last month’s presidential election because the voting may have been hacked, and accused the electoral commission of failing to verify results before announcing them.